Where to stay and have a rest? Kula is located 32 km southwest of Vidin and 13 kilometres from the border with Serbia and it is the third largest city in the province after Vidin and Belogradchik. The town owes its name to the ancient tower rising in its very centre. In the 70s of the XIX century the Hungarian ethnographer and archaeologist Felix Kanitz was the first to mention the location of the Castra Martis fortress. Years after that the modern science confirmed his hypothesis. After the conquest of the lands between the Balkan Mountains and the Danube River during the I century, and their inclusion in the province of Moesia, the Romans began construction of the Danube Limes (the border of the Roman Empire along the Danube River with its pertaining fortification system, which constituted the outer defence shield). The headquarters of the district were in the town of Ratsiaria (in Latin Colonia Ulpia Ratiaria) located 2 km from the present village of Archar. At that time in Bononia (Vidin) a small military unit was situated. 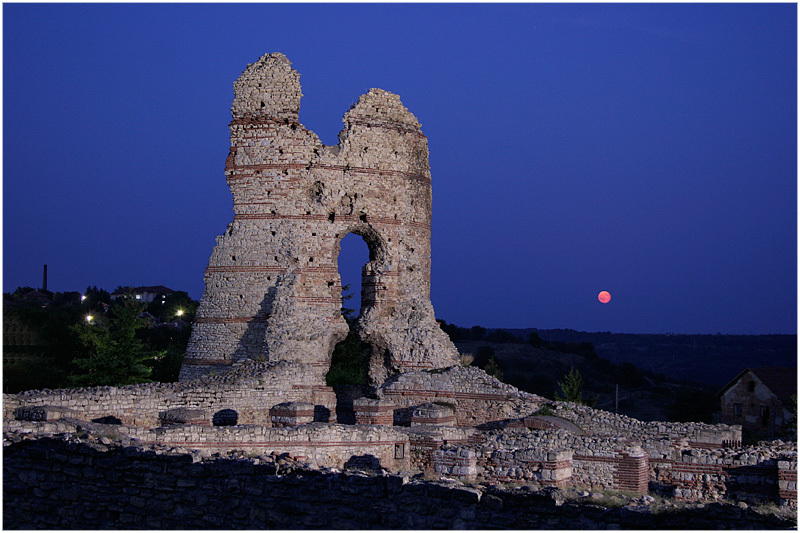 It is assumed that Castra Martis fortress was built by the Emperor Diocletian at the end of the III and early IV century with the purpose to protect the road from Bononia to Singidunum (Belgrade). In 377 Emperor Gratsiyan passed through the fortress with his squads en route to Thrace, and in 408 the fortress was conquered for a short period of time by Huns’ leader Uldis. In the V century the fortress was restored by Emperor Justinian I (527-565), but twenty years later it was destroyed again as result of the Avar invasion. Centuries later, the fortress was used by the Bulgarians for the defence of the VidinKingdom. Castra Martis is situated on the steep southern slope above the river gorge of VoinishkaRiver, in the centre of the town of Kula. Archaeological researches indicate that the fortress was built to consist of two parts – the castle and quadriburgius (a square fort with dimensions of 40×40 meters and four round towers with a diameter of 12.5 metres). South of the quadriburgius the army camp was located. Probably at the time of Constantine the Great (306-337) and his successors, it was surrounded by four meters thick walls. The walls of the quadriburgius are preserved to an average height of 2 meters above the floor level and the southeast tower is preserved to an impressive height of 16.30 meters. The fort could only be entered through the south side, where its gate was located. Probably at the end of IV century, the gate was reinforced by the construction of another thinner wall at a distance of 3.30 m from the first wall. The gate leads to an open courtyard with a staircase, which leads to the battle platform of the fort walls. They rose 10 meters high and ended with narrow loopholes. That same staircase leads to the second floor. The central building of the fort was built along the north wall. There is an inner courtyard with a well. Around the courtyard two-storey premises are situated, which had probably belonged to the commandant of Castra Martis. The spacious room north of the yard used to have more special functions. It is assumed that the battle flags of the army have been saved there and the command staff has gathered. The castle has the shape of an irregular rectangle, defended by seven polygonal towers and extends over an area of 15.5 decars. Its building plan was consistent with the nature of the terrain and the existing quadriburgius. Northwest of the fortress the foundations of a Roman bath have been discovered. The opening of new tourist season in Belogradchik. Tourist products for development of cross-border tourism were present in Vidin.